You know the feeling when a motivation wave hits you and you are convinced that from this moment on you will exercise every day, eat better, walk to work, do yoga, go travel, go on adventure, read more, but somehow 4 days later your motivation is not that strong anymore and all the excuses are getting stronger? Same happens with all the new year resolutions that usually don´t last till end of January. But what if you twist it around and make it fun. Make it a 7-day challenge and do one thing at the time. If somebody tells me “I challenge you to do this for a week.” I really couldn’t care less. I’m not competitive and this would never motivate me. Something completely different happens if I challenge myself. Because by doing a challenge I´m proving to myself that I can overcome my laziness, fears, bad habits, perfectionism,… and change my habits step by step. We can at least try to stick to something for 7 days, right? Maybe it sticks so hard, we keep doing it forever. What I always really wanted to try was “7 days of zero waste”. I wanted to push myself to learn where to buy unpackaged products in my town, how to completely avoid plastic and how to make my own products. And I loved it! Yes, it got stuck so hard it will never leave my head. I just want to get better in it, find more solutions. You can read all about it here. I really enjoy writing, researching and sharing my experiences on this blog. So I´ve decided to do “30 days of blogging” challenge last April. I wanted to test myself and prove that it´s possible. After this 30 days are over, I should easily write 3 posts per week. It wasn´t easy. Some topics that I wanted to write about required more research, photos and so on. And of course, I was doing all this (and still am) next to a full-time job. Staying up late, writing and putting posts together until late night hours. I learned how much time I spend on food and when my procrastination takes over and that my boyfriend will need to watch movies alone this month. But I also learned that I can do this, if only I stop living, or sleeping. And also that I´m not the fastest blogger. Bottom line is that I don’t want to write about living more mindfully while not really living. So I will always put love, life, family, friends, adventures, sports in front of blogging. If I don´t, I will not have anything interesting to share with you, right? You can check all the posts from that month here. 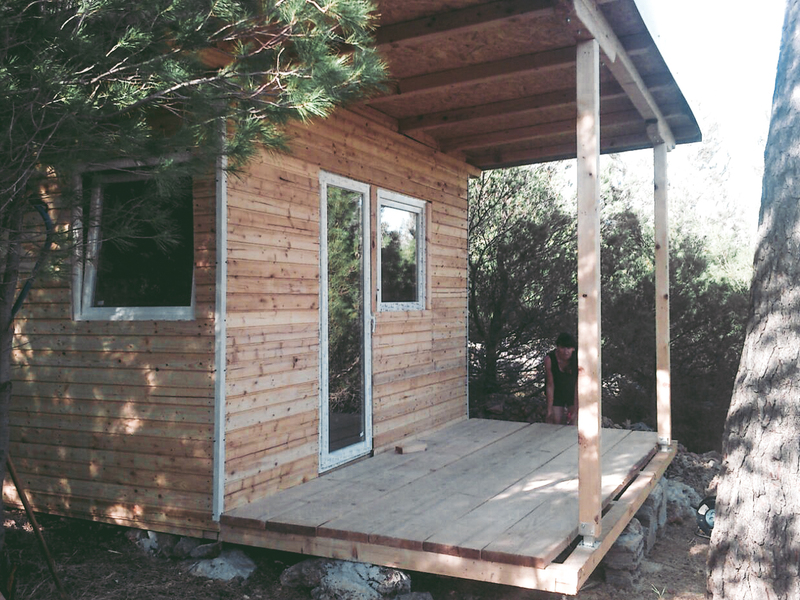 The best project so far, that we finished in 7 days was building a tiny house in 7 days. I love it and I spent my summer living in it. You can check how it was build here, and here how living in it looked like. After this, I´m sure my girlfriends can do more than my guy friends. And that I can live alone in the middle of nowhere and not go crazy. And I started this series with the one challenge I wanted to avoid the most “7 days of working out”. Together with Basha, we are right now in the middle of doing our “7 days of working out”. Check my Instagram stories if you want to know how I´m doing and please join in on the challenges. I would love to see your stories and progress so please tag it with #Chickita7daychallenge or tag me in your post/story. We can do this!